It's described as one of the most challenging, yet rewarding, positions within the Service. 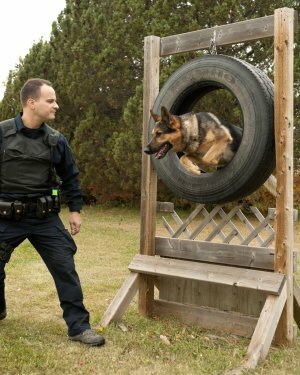 The Saskatoon Police Service has had a canine program for nearly 50 years. Currently there are nine General Duty Patrol Teams with four of these teams specializing in narcotics detection. The Service also has one explosive detection canine in addition to a team trained in locating firearms and/or ammunition. Saskatoon Police Service dogs are trained to track criminal suspects, conduct searches and apprehend criminals in all types of indoor and outdoor settings. Police dogs track and search, following the scent trail left behind by the humans they pursue. After tracking or locating a criminal, the police dog can also apprehend the individual on command, if they attempt to continue to flee or become combative. Police Service dogs are highly obedient and will follow commands only from the police officer trained to handle that particular animal. The Saskatoon Police Service has at least one Canine Team available at all times. Canine Team members are responsible to attend in progress criminal events, and assist with high risk scene management and containment situations. Handlers and their dogs are also very active in the community, doing public presentations regularly. When a dog is retired most handlers purchase their dog for a small fee. Police officers chosen to be dog handlers must be in above average physical condition, comfortable around animals, and possess the ability to read the dog's body language. Dogs chosen must have a strong retrieval drive, above average curiosity, and be fearless, friendly and outgoing. 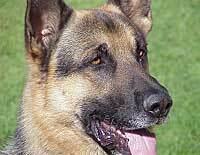 German Shepherds are used extensively because they have a good balance of all of these qualities. My ears are your ears, To hear and detect evil minds in the dark. My nose is your nose, To scent the invader of your domain. 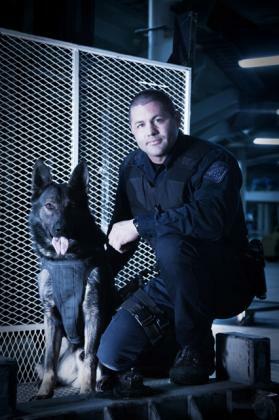 PSD CYR gave his life in the line of duty while he and his handler Cst. Steve Kaye were attempting to disarm and subdue a subject in 2001. Cyr for your courage and strength we remember you. You have paid the ultimate price to protect us. We will never forget you.